Northern Ireland Bureau and iBAM! 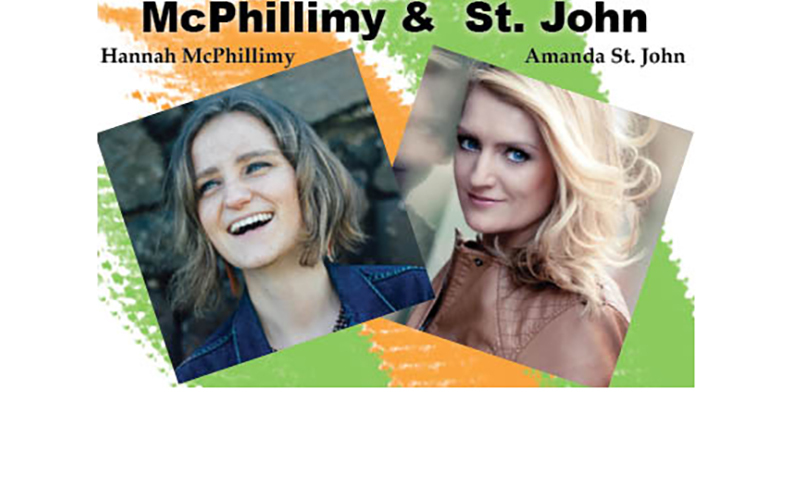 present two fast-rising stars in the music strata, Hannah McPhillimy and Amanda St. John. Joining these two talented ladies is Chicago's own guitarist Dennis Cahill, John Williams on button accordion and concertina and Steve Morrow on Bodhran! Join us on Sunday October 28 at 5pm in the auditorium of the Irish American Heritage Center at 4626 N Knox Ave in Chicago. Special Price $10! Amanda St John is a soul/blues/folk singer songwriter from the small rural village of Glenariffe, Co. Antrim (Northern Ireland). Amanda St John is hailed as “a vocal powerhouse” (Sunday Life) and "head-turning vocalist with serious song writing prowess......a sensational artist" (Visit Dublin). She released her debut album 'Grow' at the renowned Cathedral Quarter Arts festival in 2016 and has recently travelled to FAME Studios, Muscle Shoals, USA (in the same studio used by Etta James, Aretha Franklin, Wilson Pickett as well as many more soul/R&B stars) to record her second studio album which is due for release in early 2019. 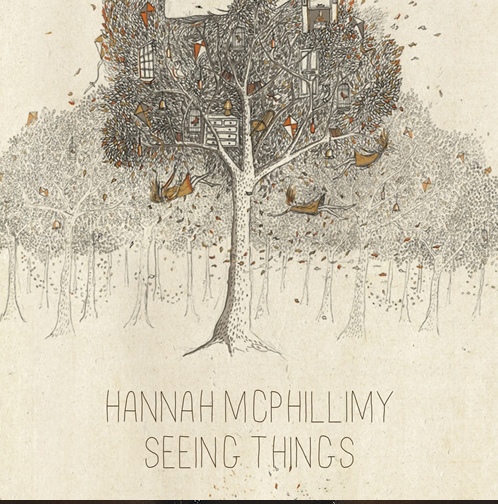 Inspired by soul and blues music as well as Irish folk which she grew up listening to Amanda has worked with artists like Brian Kennedy, Duke Special, Eddi Reader, Mary Coughlan, Ciaran Gribbin (of INXS) and Jon Tiven (Grammy winning Nashville writer/producer who has worked with BB King, Van Morrison and The Rolling Stones etc...). Gaining substantial media interest in Ireland and the UK including extensive airplay on the BBC and RTE as well as reviews in Hotpress Magazine & The Irish Times; Amanda has started to gain nationwide interest in the UK with live sessions on BBC Radio London as well as recording for legendary broadcaster ‘Whispering’ Bob Harris (BBC Radio 2) 'Under the Apple Tree' series. With many festival slots (including showcasing at the prestigious Folk Alliance Conference in Kansas, USA) and Tours in the UK, Ireland and USA during 2017/2018 Amanda has become known for her passionate and powerful live performances and is fast establishing herself as one of Ireland’s leading vocalists. John Williams is internationally regarded as one of the foremost players of Irish music today. With five All-Ireland titles to his credit, John is the only American-born competitor ever to win first place in the Senior Concertina category. His additional talents on flute, button accordion, bodhran, and piano distinguish him as a much sought after multi-instrumentalist in the acoustic scene around the world. Born and raised on the Southwest Side of Chicago, John spent his summers during college on the Southwest coast of Ireland in his father’s village of Doolin, Co. Clare. Like Chicago, Doolin became a major musical crossroads for John and countless other local and international musicians to meet and exchange music. Gigging every night in the pubs of Doolin and Lisdoonvarna soon led to performances in Galway, Cork, Dublin, Belfast, Paris, Britanny, Zurich, and New York City. Forming the groundbreaking Solas in 1995 with Seamus Egan, Winifred Horan, Karan Casey and John Doyle, Williams received wider recognition playing to sold out audiences internationally and earning two NAIRD awards and Grammy nominations for the ensemble's 1996 and 1997 releases Solas and Sunny Spells and Scattered Showers. The Irish national broadcasting network RTE has featured Williams as the subject of the radio program The Long Note, the television series The Pure Drop, and the Gaelic language and music programs Geantrai and Failte. Outside of traditional music, John has collaborated on productions with Gregory Peck, Doc Severinson, Studs Terkel, Mavis Staples, jazz pianist Bob Sutter, bluegrass legend Tim O'Brien, Syrian oud player Kinan Abou Afach, Oscar winning director Sam Mendes, the London Symphony Orchestra, and the Irish Chamber Ensemble. U.S. audiences recognize Williams from numerous appearances on Mountain Stage, A Prairie Home Companion and The Grand Ol' Opry as well as guest performances with The Chieftains, Nickel Creek, and Riverdance. In August 2003, Chicago Magazine selected Williams in their annual Best of Chicago issue as one of the city's finest instrumentalists. His acclaimed duet album Raven with guitarist Dean Magraw was released last year on Compass Records of Nashville. John has recently performed in Scotland with Dean Magraw and Solas to capacity audiences at the Trongate Theatre and the Royal Concert Hall of Glasgow as well as recording a live radio special for The Folk Show on BBC Northern Ireland. The music and the fun were flowing this Easter when John Williams swung back into O’Connor’s and McDermott’s Pubs of Doolin for ten incredible nights with Christy Barry, Eoin O’Neill, Kevin Griffin, Noel O’Donoghue, Michael Kelliher, Sean Tyrell, Amy Shoemaker, and Terry Bingham.